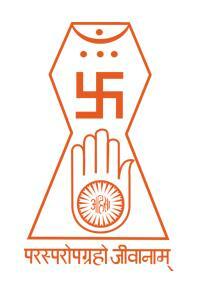 Jainism, is an Indian religion that prescribes a path of non-violence towards all living beings. Its philosophy and practice emphasize the necessity of self-effort to move the soul toward divine consciousness and liberation. Any soul that has conquered its own inner enemies and achieved the state of supreme being is called a jina ("conqueror" or "victor"). The ultimate status of these perfect souls is called siddha. Ancient texts also refer to Jainism as shramana dharma (self-reliant) or the "path of the nirganthas" (those without attachments or aversions). Jain doctrine teaches that Jainism has always existed and will always exist, although historians date the foundation of the organized or present form of Jainism to sometime between the 9th and the 6th century BCE. Like most ancient Indian religions, Jainism may have its roots in the Indus Valley Civilization, reflecting native spirituality prior to the Indo-Aryan migration into India. Other scholars suggested the shramana traditions were separate and contemporaneous with Indo-Aryan religious practices of the historical Vedic religion. Contemporary Jainism is a small but influential religious minority with as many as 6 million followers in India and growing immigrant communities in North America, Western Europe, the Far East, Australia and elsewhere. Jains have significantly influenced and contributed to ethical, political and economic spheres in India. Jains have an ancient tradition of scholarship and have the highest degree of literacy for a religious community in India. Jain libraries are the oldest in the country. About Us Copyright 2019 WorldReligions.com by IVMedia LLC. All rights reserved.